Soft, light, yeasty rolls are pretty amazing. Eaten warm from the oven with melting butter… oh, yes! Toasted or filled with deli meats, it is the bun that makes the sandwich so good! 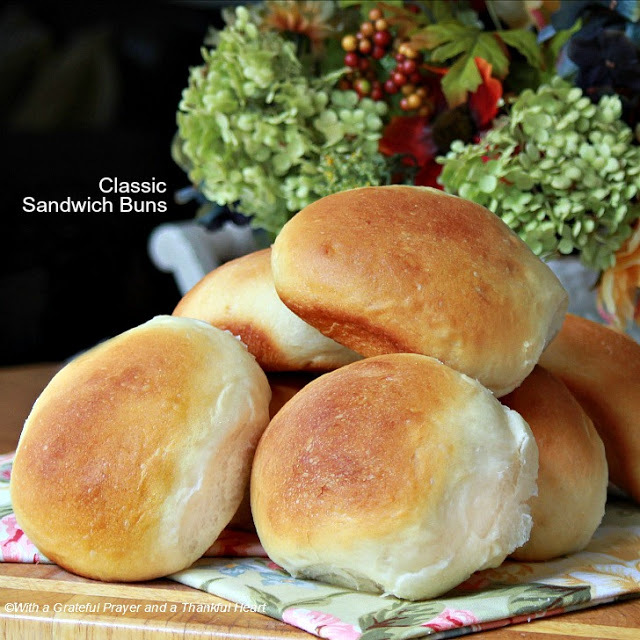 You will love these classic sandwich buns and that they are made easy using a bread machine to make the dough. It seriously takes just a few minutes to add the dough ingredients to the bread machine pan. Push the button and go about your business while the machine mixes, kneads and rises the dough. It couldn’t be easier but that isn’t the best part. The BEST part is the finished bun. Just what you want in a fresh, homemade bun. Once the machine beeps, signaling the dough cycle is complete, simply remove the dough from the machine to the counter to rest for a few minutes. Divide the dough, shape and place onto a sheet pan. One more rise and it is into the oven to bake. Your home will fill with a heavenly aroma and you will fill with anticipation. Add all of the ingredients in the order recommended by manufacturer of your bread machine (usually wet ingredients followed by dry ingredients and ending with the yeast). Set the machine to dough setting. When complete, remove dough from machine and allow to rest, covered for 5 minutes. Divide dough into 8 pieces. Form into balls. Place on a lightly greased baking sheet. Cover lightly and place in a warm, draft-free place and allow to rise for another 60 minutes.Bake in a preheated 350 degree oven for about 18 minutes or until golden brown. 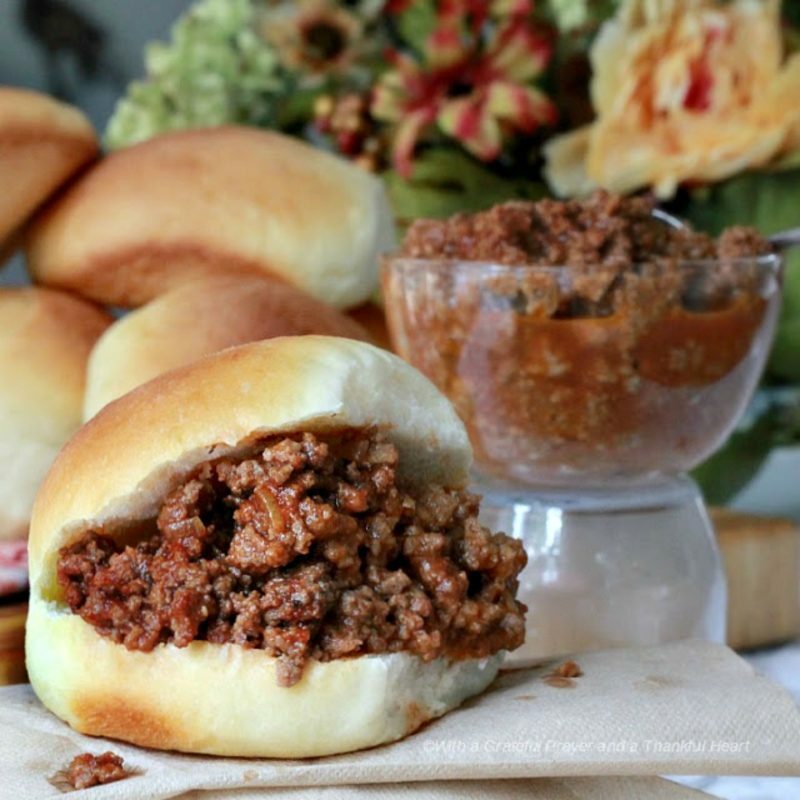 We love serving Sloppy Joes on these home-made buns. Click the link for the recipe.